For Glass Owls, a reputation as a great live act without a record finally changed with the release of their debut EP, “Dead Love” in June 2010. Cameron Allan (drums), Christopher Pearce (bass), Anthony Metcalf (lyrics and guitar) and Tomas Nelson (lyrics and vocals) will be thrilled with what they have accomplished. It’s been a long wait but the six songs on the record are sure to satisfy their fans and all lovers of intelligent, hook laden Kiwi pop. It could be argued that Glass Owls are one of the hardest working bands in the country. 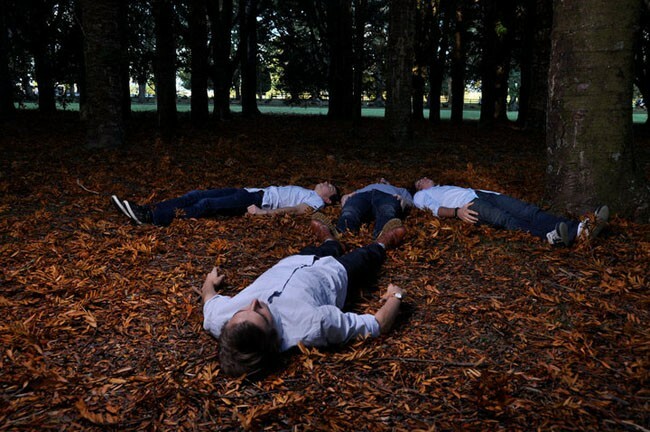 Formed in Howick, Auckland in 2007 as “Three Kings” (later “The Collection” before landing on their current name), they have been tirelessly touring ever since at venues as diverse as Cassette 9, Juice Bar, The Kings Arms, Rising Sun, The Dog’s Bollix, New Zealand Fashion Week 2009, Barnstock and The Wine Cellar. They have also appeared on 95bFM’s Fancy New Band Show and Balcony TV. In 2009, they recorded an extremely popular Red Bull Live Studio Session and their song “Sarah” was featured on Remix Magazine’s “Indie Remix CD”. It is their catchy tunes and energetic live shows which have allowed them to carve a name for themselves in the extremely competitive Auckland music scene. The lineup has remained unchanged in all positions with the exception of their drummer. Fans need not fear however as Allan appears to be in it for the long haul.